Berlin, March 20 (IANS) Alfred Schreuder will be Hoffenheim's new coach after taking over from departing Julian Nagelsmann in the summer, the Bundesliga outfit confirmed in an official statement. The former co-assistant returns from Ajax Amsterdam to the "TSG" where he had the same role from October 2015 until January 2018, reports Xinhua news agency. "Alfred knows our structures and the majority of the team. He has contributed significantly to the success of recent years through his outstanding expertise. I am looking forward to work with Alfred," Hoffenheim's sporting director Alexander Rosen said on Tuesday. 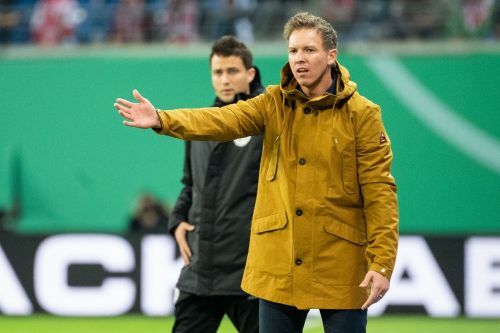 Nagelsmann announced his departure to league rivals Leipzig ahead of the current season. Hence, Hoffenheim took their time and "worked intensively and calmly on implementing an optimal solution." The new head coach works currently under Ajax Amsterdam head coach Erik ten Hag and helped the Dutch club to reach the UEFA Champions League's quarterfinals by upsetting defending champions Real Madrid. "I am looking forward to my commitment at Hoffenheim and I am aware of the great challenge but that's what I find particularly appealing. I want to set my personal accents here as a head coach and continue the story of success," Schreuder told the club's official homepage. Hoffenheim encounter Bayer Leverkusen to kick off the 27th round in Bundesliga on March 29.